2010 Bay Mare AHR 648072 For Sale SOLD! Raishea delivered a terrific 2014 colt by *Maddox Van Ryad . We named him Matrix MF, and he represents four generations of Maplewood breeding. Raishea is special – the only granddaughter of BOH Romance, through BOH’s daughter Nina Ricci MF. Raishea is our most important link to this dam line. Named after her great-grand dam Gaishea, both a U.S. and Canadian National Champion Mare, this filly brings the highly coveted Gainey Dynasty into our mix. Paternal grandsire Gai Monarch’s talent under saddle matched that of his halter fame. Maternal grandsire Hallelujah Bey //+ contributes the known qualities of the Huck lines, giving us our third generation of calm, level headed, useful and talented horses walking the aisles of our barn. Sire Noble Rhyton contributes incredibly dry, thin and vascular skin, large eyes and tightly placed ears, as well as an exquisite front end with a long and perfectly arched neck. 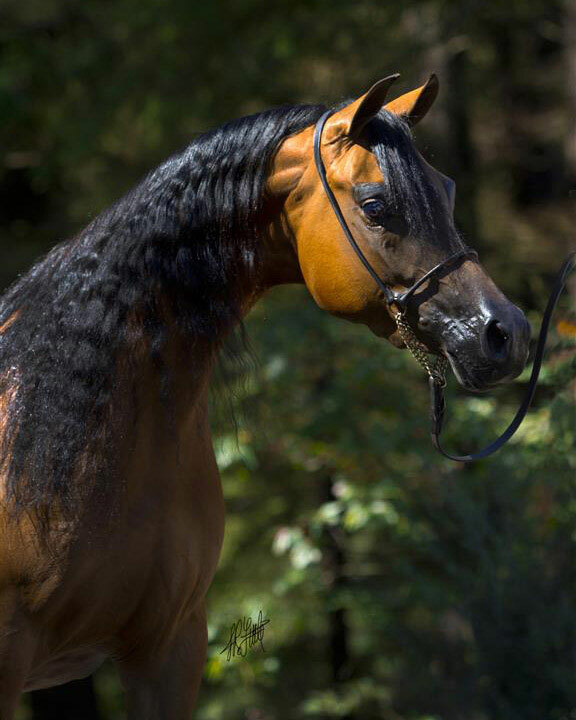 Rhyton’s dam *Cesarzowa, of the famous Milordka female family– famous for her chisled head, fertility, and ability to produce well with every sire presented to her – offers hope that we have a new treasure in her granddaughter. Raishea is an exciting addition to our broodmare band; she’s broke to ride and serviceable for pleasure as well! 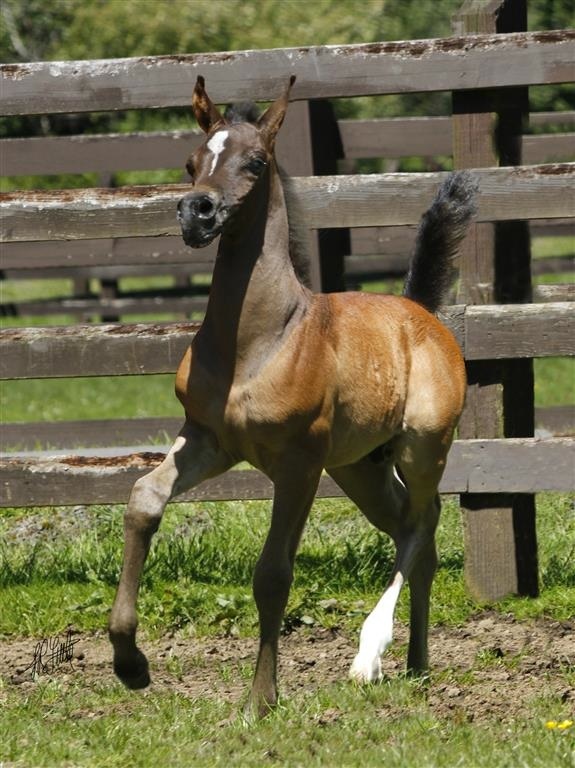 This entry was posted in Opportunity and tagged mare, progeny on October 15, 2013 by Anita Enander. Shreddin Betty leased for 2018 Maddox foal!